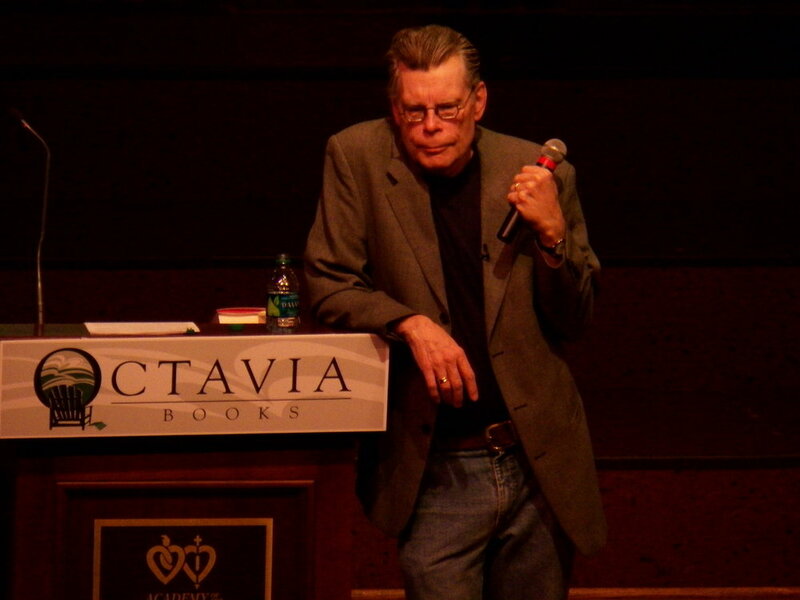 Stephen King discusses his book “11/22/63” in New Orleans in 2011. Ask any American who Stephen King is and it’s almost certain they will have seen one of his adapted movies or read one of his books. Katie McLain at Bookriot, a website that focuses on book news researched which horror writers appeared most when “best horror writer” is Googled, revealing King as the winner. While he may or may not be the “best horror writer,” he is certainly a prolific one. As of 2018, he has published 261 short stories, novellas, poems and fictional novels that combine classic horror with detective fiction, science fiction and westerns — often mixing more than one genre per book, as in his “The Dark Tower” series. While his science fiction has been recognized enough to win him 11 awards, according to the The Science Fiction Awards+ Database, he has won 17 awards for his works of horror, the genre for which he is the most well-known. King also continues to impact those in the writing world. LitHub writes that a variety of novelists, ranging from horror writers like Bret Easton Ellis and Victor LaVelle to literary fiction and surrealist author Haruki Murakami, cite him as a “formative inspiration” for their own writing. Murakami and LaVelle use his narrative structures to shape their own stories and Ellis wrote his mock memoir “Lunar Park” as an homage to King. King is also influencing academia; scholars like John Sears and Tony Magistrale have written books about his influence on Gothic literature and horror films, affirming King’s literary merit through careful analyses. Stephen King also portrays the hidden darkness within human nature, revealing humans’ propensity for violence. Alcoholism and abuse are common elements his work, and readers follow and sympathize with characters in their struggles against personal demons. Notable examples include recovering alcoholic Jack Torrance from “The Shining” and the eponymous “Carrie,” who is abused by her mother and classmates. King’s stories also feature murderers like Mr. Mercedes and Misery Chastain who hide in plain sight and strike when least expected. His human antagonists represent the abrupt violence that can disturb everyday lives, sometimes requiring no supernatural force to push them to the edge. However, as McLain notes, readers best not be limited by King’s sometimes overwhelming presence. Authors of color like Victor LaVelle and Silvia Moreno-Garcia are rewriting the racist narratives of horror legends like H.P. Lovecraft and providing insightful commentary on race that King has never accomplished. Other authors of color, especially queer ones like Alyssa Wong and Jewelle L. Gómez, deserve to be heard and to create their own legacies in the same way King has. Last year, SYFY WIRE celebrated the author in an article titled “How 2017 Became the Year of Stephen King.” Kayleigh Donaldson wrote that in a time of reboots and adaptations, “Hollywood has barely scratched the surface of King’s work and there’s so much more left to untap, on top of the ways his immeasurable influence will inevitably be seen through the coming decades of pop culture.” With several upcoming adaptations, including a sequel to 2017’s “It,” it seems 2019 will be another year of Stephen King.